This was a small Turbine Package traveling from Oklahoma to upstate New York. The size and weight of the shipment was not what made this the shipment of the month, but rather the complexities involved with handling a $1.7 Million dollar shipment. In addition to the high value of the shipment the customer also had a very tight deadline. This required the Turbine to arrive on a specific date and time to meet an installation crew flying in from Texas for this specific job, as well as a very expensive crane that was required to handle the off load and install. 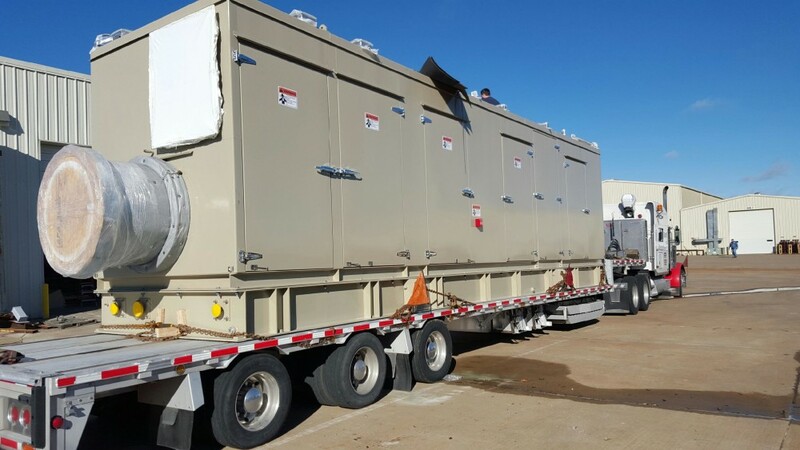 The Turbine was only 39’ L x 9’ 2” Wide x 10’ 10” High and weighed just 66,000 pounds, but with the extreme value of $1.7 Million dollars the customer did not want to chance anything and required route surveys to insure the unit would arrive on time without damage. With our team overseeing the entire shipment it arrived safely and on time.